We are all familiar with questions such as: “How much should I pay for a down payment for rental property?” and “What is the minimum down payment for investment property?” Well, these questions about investment property financing options are still very common in 2019 as not every future real estate investor is able to afford an investment property on his/her own. So, get ready as today we will explain to you what you need to know about the down payment for investment property. #1 What Is a Down Payment for Rental Property? The down payment for rental property is a type of payment that is a partial sum of the total price that the buyer has agreed on. When buying an investment property, the down payment is part of the total cash investment that the real estate investor will have to pay for from his/her own pocket. Having this sum saved up is a key requirement for getting approved for a mortgage loan. 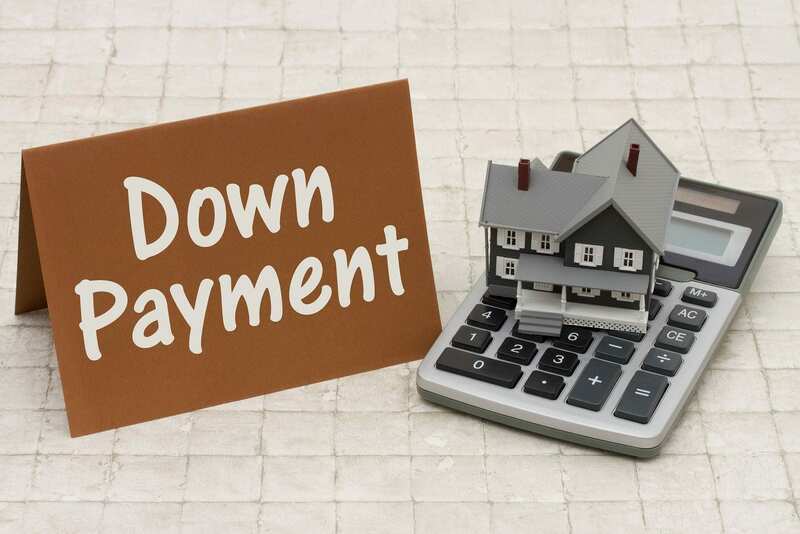 Even though most mortgages require a down payment for rental property, you may have heard of a “zero-down” mortgage. Zero-down means that for the current offer, the real estate investor is not required to pay a down payment for investment property. However, even if you manage to get this kind of offer, it is advised that you pay what you can for a down payment as it will cover a significant percentage of the total investment price. Paying this sum in advance will make it somewhat easier to pay off the mortgage loan. Does 20% sound familiar? Well, 20% down payment is the minimum down payment for investment property that traditional mortgage lenders, like banks, typically require. This is seen as a form of security for lenders when providing the loan to a real estate investor. And for the investor, the outcome is better terms for the loan. 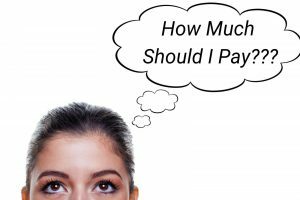 #2 How Much Should You Pay for a Down Payment for Rental Property? What if you pay less than 20%? What if you pay the minimum? Let’s look at the general outcomes that investors face depending on the amount they put for a down payment for rental property. Investor A and B are each purchasing a property for $500,000. The mortgage lender is offering a 30-year loan with an interest rate of 4.3%. Let’s say, Investor A plans on saving money in the beginning and provides a down payment for rental property of 5%. On the other hand, Investor B pays a down payment of 20%. From this moment, you can state that Investor A definitely borrows a bigger amount from the bank. Consequently, he/she will have to cover a higher interest rate. Additionally, investors who pay less for down payments typically need to pay for private mortgage insurance (PMI). Therefore, the monthly mortgage payments are going to be higher. This all could have been avoided if Investor A decided to pay a bigger down payment for rental property. Investor B will enjoy the 4.3% interest rate and can likely forego extra payments like PMI. So, it’s clear that paying the minimum down payment is in your favor. But is the minimum always 20%? Let’s take a look at the average down payment for a few major cities to find out how much you’ll have to pay. What Is the Average Down Payment in Major Cities? Even though we are used to hearing that a minimum down payment for investment property is 20%, a study done by Lending Tree revealed surprising results. The study looked at 1.5 million homebuyers and found that the average down payment is lower than 20% in many US cities. We understand that a 25%, 20%, or even 5% down payment for rental property may seem like a lot. So many real estate investors need a guarantee that their investment property will generate a high return on investment to ensure it’s worth it. Many years ago, it would have been difficult to find this kind of guarantee, as researching hundreds of investment properties manually was just impossible. However, nowadays we have many reliable real estate investing tools to help us out. For example, a rental property calculator that includes a mortgage calculator can help you find this investment property. The rental property calculator is an online real estate investing tool that provides investors with the necessary real estate metrics to project the performance of a rental property. With Mashvisor’s rental property calculator, the chances of finding a great investment significantly increase. Basic investment property information is what you need to get started- the financing method, purchasing price, and down payment for investment property. After including that data, Mashvisor’s rental property calculator will present the results in the form of cash on cash return, cap rate, etc. According to these, you can find out how your down payment and interest rate will affect your return on investment and if the property is worth your attention at all. Let’s say you have found the property of your dreams and you even know what down payment/interest rate you need to get a good ROI thanks to the rental property calculator. Now you need to know how to get money for a down payment on investment property. Well, the first thing that comes to mind is to search for private lenders, such as your friends or relatives. This is actually one of the best solutions as the interest rate that private lenders typically ask for is not high, if they ask for one at all. If this is not an option, you will have to start saving up for a down payment. Here is a helpful guide to get you started: The Guide to Saving Money to Buy an Investment Property. Even though many lenders refer to 20% as the minimum down payment for investment property, do your research on your area and property type. However, if you have the opportunity to pay more for the down payment for rental property, do so, as it will allow you to save money in the long run on monthly installments. Don’t forget that Mashvisor can assist you in the process. To start your 14-day free trial with Mashvisor and subscribe to our services with a 20% discount after, click here. 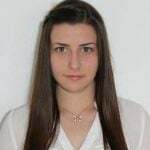 Yoana is an experienced content writer with a BA in leisure studies who enjoys giving tips to beginner real estate investors. Is Investing in the Kansas City Real Estate Market in 2019 Smart? Where Do You Find the Condos for Sale to Buy as Investment Properties? Should You Remortgage To Buy A Second Home? Owner Financing: Is It the Best Way to Finance an Investment Property? What Are the Best Ways for Financing Investment Properties? : Is Buying a Condo a Good Investment Decision in 2018?